They have a jersey and everything. The evidence that we’re eventually going to have to stop cracking jokes about professional video game players and reckon with esports as a real thing that adults take seriously keeps piling up. A few days ago, Cowboys owner Jerry Jones plopped an undisclosed but presumably eye-popping amount of money onto an esports franchise of his own. (Dallas oilman Kenneth Hersh reportedly spent $35 million to bring Team Envy to town.) Also this week, the Dallas Fuel—your hometown squad of people who play “Overwatch” very well—announced a partnership with $1 taco dispenser Jack in the Box. 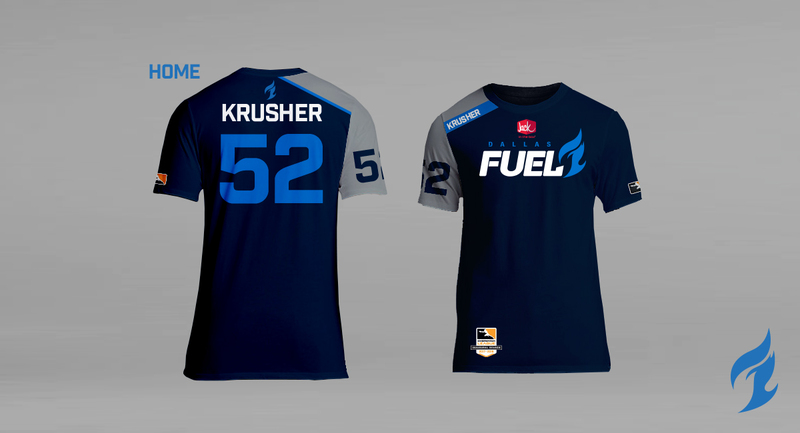 That sponsorship makes Jack in the Box the “Official Quick Service Restaurant of the Dallas Fuel” and plants the fast food chain’s logo on team merchandise and jerseys. There are jerseys. We’re assuming Krusher is not the player’s Christian name. While a Jack in the Box logo on a T-shirt is a long way from the corporate cross-stitch of a NASCAR driver’s jumpsuit, it’s a considerable step in the mainstreaming of esports. Next thing you know, Lady Gaga will be performing while the game’s on pause during the “Overwatch” Super Bowl. Teens will be fighting over the last pair of Krusher-sponsored Nikes. Star e-athletes like “n00bkiller420” will be kneeling during the national anthem. Monday Night Free For All will replace Monday Night Football on national television. Don’t like it? Too bad, Grandpa. It’s a Millennial World now. This is the content we crave. We love video games and brands, and existing in an increasingly abstract digital space that keeps us pacified and divorced from the terrifying demands of reality. The “Overwatch League” preseason begins next month. Support your Dallas Fuel as they take on the Houston Outlaws on Dec. 7. You can watch games online.